All-round experience in Food Manufacturing. Project Management, Operational Effectiveness and Waste Reduction. Cost Accounting and Capex. Experience in use of SAP. Management of implementation of WCM methodology. TPM, Lean Manufacturing and Six Sigma techniques. The thing I enjoy themost is spending time with my family. I also love running and general fitness. My favourite literature is about: Food technology and Manufacturing Management. Solid background in Chilled, Frozen and Ambient Food Manufacturing. Track record of delivered measurable success in multiple areas of performance: manufacturing operations improvements, production efficiency, cost reduction, process streamlining, complex development projects for major UK retailers (Marks & Spencers, Waitrose, Tesco, Sainsbury's, Asda, Boots, CO-OP, BHS) and international coffee-house chains (Starbucks UK & EMEA, Pret an Manger, EAT, Cafe Nero), whilst contributing to revenue and delivering exceptional customer satisfaction. Theoretical knowledge and practical experience in the application of WCM, TPM, Lean and Six Sigma techniques and tools. Demonstrated ability to translate knowledge and strategy into successful organized plans and programs. Expertise in fostering a culturally diverse environment. Creative, goal-oriented and focused on results while exceeding client needs. First class organisation and communication skills coupled with strong management and motivational skills. Strong commercial awareness. Degree in Agro-Industrial Engineering at Central University of Venezuela and a Master in Business Administration at Carlos III University of Madrid. £30 million turnover manufacturer of premium cakes and chilled desserts for leading retailers and coffee-house chains. Project managed the Critical Paths for New Products from concept to full scale factory launch within agreed time-scales. Identified areas for improvements to recipes and radically reduced cost, improved consistency and operational efficiency using Lean and CI techniques. Increased OEE by 12% (£1,670K savings per year). Currently assisting the Operations Manager in the day to day activities to improve the productivity, performance and effectiveness of Phoenix Factory and ensure a safe working environment exists for employees. Represent the site at European RVS (Extruded Sticks) sessions. Provide strong guidance and coaching to the Manufacturing Team Managers and take a lead in inter departmental projects as well as lead maintenance activity planning and reviews. Ensure the highest product quality and food safety standards are maintained. 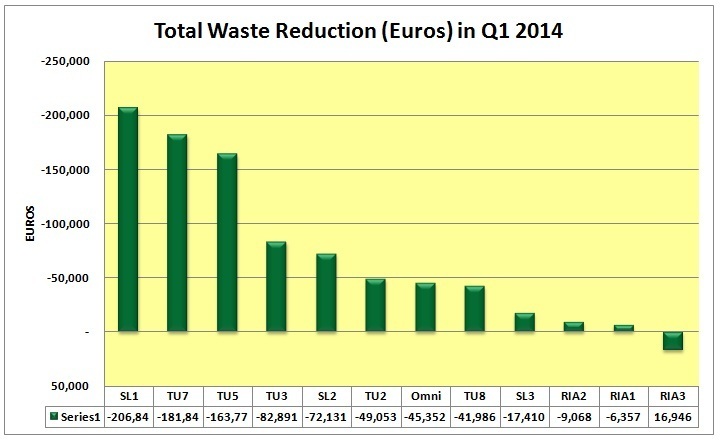 Currently leading the war on waste campaign across Phoenix Factory with excellent results: €700K plant wide waste reduction in Q1 compared to 2013. 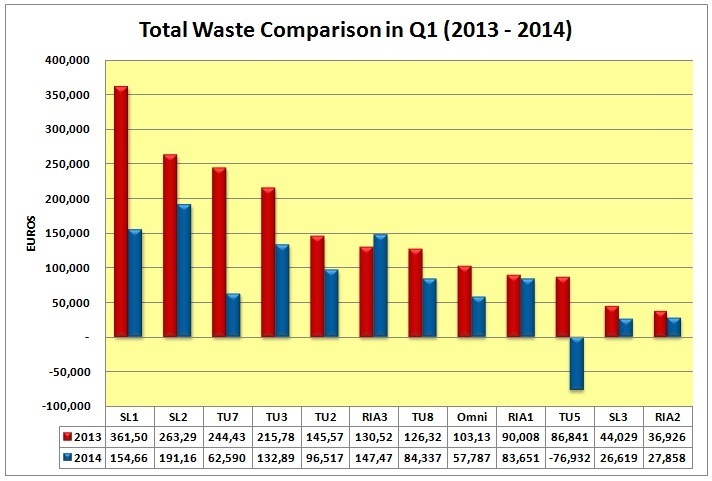 Significant waste reduction on Extruded Sticks Lines (SL1, SL2, SL3 and Omni) in Q1 2014. Site expert on World Class Manufacturing, developing the 10 technical pillar leaders in the identification and elimination of waste & losses and contributing to people development plan and engagement and involvement of operator teams in learning the tools and techniques. Track benefits of the program across the site and report cumulative progress to the Site Director. 15% reduction of cost per liton in 2013 with 10% increased production volume. Joined the company to manage the TPM Program. Achieved on the latest JIPM TPM Audit a total score of 950 points (the highest in Gloucester). Managed the evolution from TPM to the beginning of World Class Manufacturing in Unilever Gloucester. Reduced wastage on shift by 2% by engaging team leaders and operators in a continuous improvement programme, resulting in savings of £550K per year. Achieved £2K per shift improvement on labour efficiency. Reduced customer complaints by 10% by focusing on Quality and GMP as key drivers. 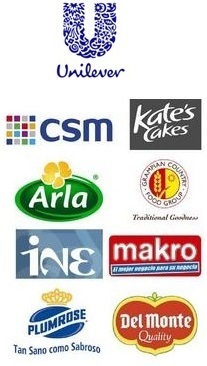 UK’s leading processor of fresh milk and cream to the top seven retailers. Managed the implementation of Continuous Improvement techniques to run a more efficient milk bottle filling and packaging operation with focus in quality, yield and waste, until the site was shut down in 2006. Reduced by 1.6% the over filling of milk bottles by implementing a maintenance and performance-monitoring program which engaged supervisors and filling operators, resulting in savings of £ 1.45 million in 1 year. Grampian supplied chicken products to the retail, industrial and food service sectors, with a strong focus on the British retail market. Managed on a daily shift basis the cutting, trimming and packaging in a Chicken Production Plant. Led a large team of 60 operators. Continuously sought for improvements and adjustments to increase yield and reduce wastage, until the site was shut down in 2005. Reduced by 1.7% the give-away of product by calibrating and monitoring all weighing and packing equipment, resulting in savings of £750K in 1 year. Reduced by 3.1% the packaging material wastage by working closely with the engineering team with savings of £630K in 1 year. Managed directly a team of 20 coordinators and indirectly 130 field staff during the National Population and Housing Census Programme in the North-Central Region of Venezuela. Delivered staff training and produced the regional statistics after programme completion. $ 6 Million turnover ready-to-eat salad and fruit manufacturer. Managed a team of 4 shift supervisors and 170 operators in production and warehousing during the second and third year of the company in a manner that supported efficient running in order to meet agreed budgeted levels of expenditure on materials and labour. Ensured safe work environment. 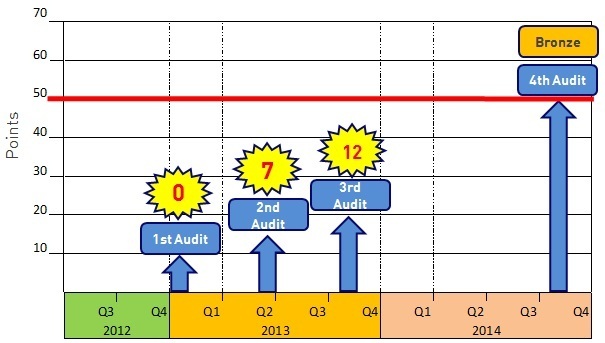 Quality Audits, Training and Coaching of subordinates. Increased the portfolio from 5 to 20 products. Managed capital improvement of $950K of new equipment resulting in better production efficiency. 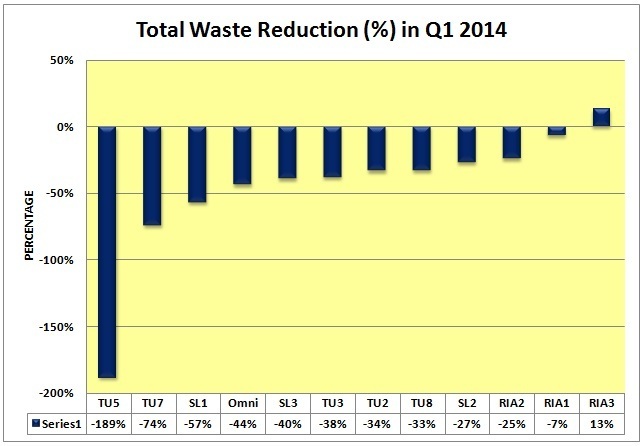 Reduced factory waste from 9% to 4 % in 2 years (savings of $600K) by implementing TPM and CI techniques. Increased turnover from $2 million to $6 million in 2 years. Largest Retail Store Chain operating in Venezuela with food and non-food products to traders, caterers and complementary business. Led department sales to consistent top performance during the start-up of the new retail store in Aragua (Venezuela). Managed a dynamic team of 20 people and implemented aggressive improvement initiatives to stretch budget and reduce waste. Captured 30 % more corporate clients in 2 years ($1.4 million). Reduced waste of perishable foods by 5 % in 2 years (savings of $775K per year). Plumrose, a subsidiary of EAC (The East Asiatic Company) has operated in Venezuela for more than 50 years, and today the company is the country’s largest player within processed meat. Lead a strong team of 6 supervisors and 110 operators within a chilled food manufacturing environment. Organised and directed the manufacture of products in line with very demanding production programmes and operating budgets to company safety, quality and hygiene standard. Drove Continuous Improvement process to achieve better cost effectiveness. Managed the implementation of a Raw Material Waste Program with a reduction of 1.4% in the year one ($410K) and 2.9% in year two (£870K). Reduced the Packaging Waste by 1.5 % in 1 year resulting in of $ 680K per year. Del Monte Andina is one of the largest and most well-known producers, distributors and marketers of premium quality, branded food and pet products for the South and Central America retail market. Managed a team of 4 QA Technicians to maintain food safety and quality standards in a chilled, frozen and ambient food production plant. Engaged line managers, supervisors and operators in a Total Quality and Continuous Improvement Programme to reduce waste. Reduced the waste by 2.5 % in the canned vegetable lines resulting in a saving of $ 450K per year. Kept the critical nonconformities at 0 %. Reduced the major nonconformities by 1 %. Reduced the minor nonconformities by 1.5 %.